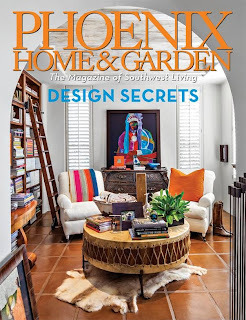 Each Year, Phoenix Home and Garden searches out up and coming stars in the Southwest design world. This year, we were honored to be among the six rising designer/artisans who were recognized in this esteemed publication as 2013 "Young Guns"
I was recently thinking about how we describe what we do - we often say we have 'passion' for our work - and I was trying to translate how 'passion' actually impacts our work. Yesterday, I spent 9 hours on my knees, hand setting 1x1 glass mosaics in a radial pattern in a concrete pool. It was 106 degrees, with Phoenix Monsoon humidity. Let me assure you, there was no glamour in this part of the process. Today, my knees hurt and I feel like I developed advanced arthritis in my fingers...overnight. During the 8th hour of the day, I'll admit it - I wondered why I chose this path. 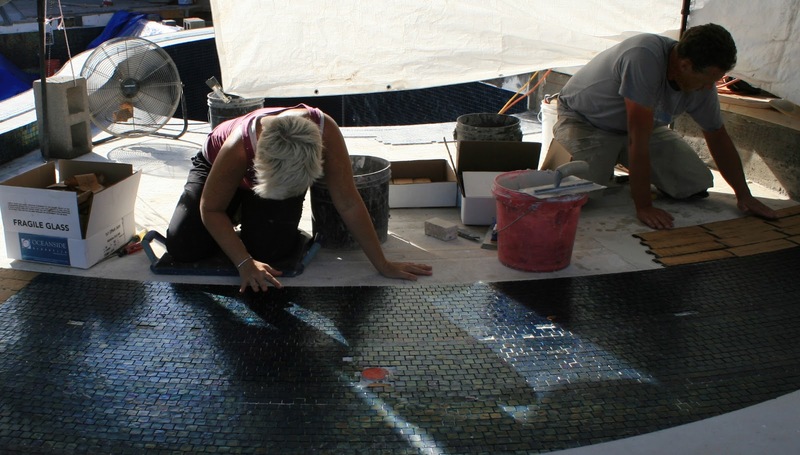 But then - I noticed and fixed one crooked tile and was instantly immersed back into the process of creating these perfect radials that will visually mimic the effect of waves caused by a single pebble dropped into this reflecting pool. I sat there and thought - there are only 2 ways to do this installation. A right way...and a wrong way. My passion for the outcome - (including the 'Oooohs and Ahhhs' of those who only see the finished product) - gives my brain a conscious push to persevere through this pain, and deliver an ultimate project. I can visualize the outcome, and I know how to manipulate these products to achieve the excellence for which I am passionate. 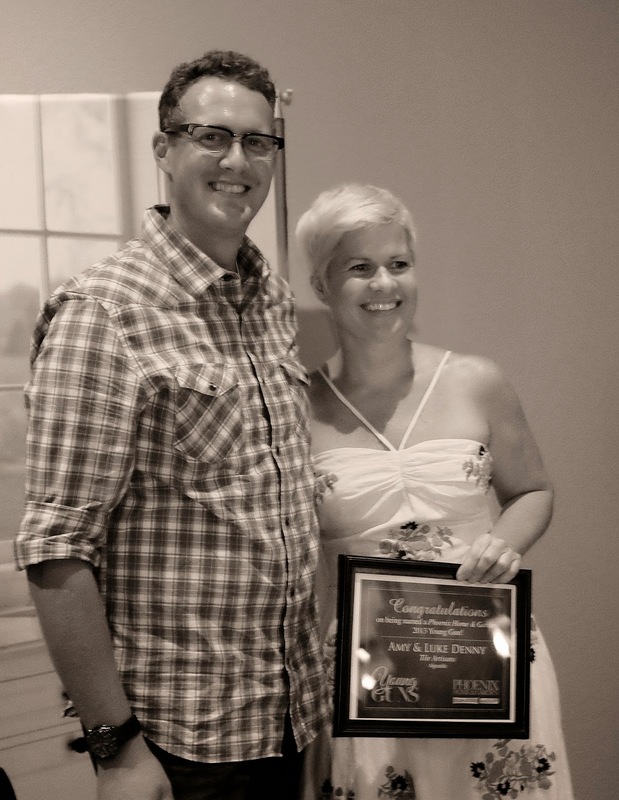 We are so grateful for the recognition from Phoenix Home and Garden, and look forward to even more growth!